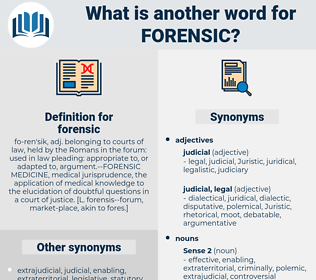 What is another word for forensic? Instead of forensic notions, we meet with terms pertaining to ritual and priesthood. We had a tremendous fight, and in the heat of the forensic duel I lost sight of everything except the one goal of triumphant and overwhelming victory.